In excavation we provide services in many areas like dirt excavation, removal of rock, excavation in basement, fixing drainage, removal of erosion and many more. Are you looking to hire a skip bin in Melbourne? You’ve come to the right place. Whether you’re carrying out renovations on an existing property, building a new home from scratch or simply need to remove a large amount of waste, we’re sure to have a skip bin hire solution to suit your unique needs. With extensive industry experience and a commitment to customer service that’s second to none, Ultra Bin Hire & Demolition is your number one choice when it comes to skips in Melbourne. Give us a call now on 03-90419559 to book your skip, or read on to learn more about our great range of skip bin hire services in Melbourne. We understand that no two building projects are the same. That’s why we provide an extensive range of skip bins available in a variety of sizes to suit your specific waste disposal needs. If you’re working on a large project, you’ll be pleased to know that we offer walk-in bins for hire in Melbourne, which range in size from four to 30 cubic metres. On the other hand, if you need to dispose of a modest amount of waste, our skips for hire in Melbourne have a capacity of up to 2.5 cubic metres, making them the perfect choice for many residential jobs. Choosing the right skip for the job is essential for streamlining efficiency and keeping costs low. If you’re not sure which Melbourne bin hire solution will best suit your needs, please don’t hesitate to get in touch with one of our skip bin experts who will be more than happy to give you a hand. When it comes to disposing of waste, you need to be confident that your Melbourne skip bin hire company is up to the challenge. That’s where we come in. With more than 20 years of experience in the industry, the team at Ultra Bin Hire & Demolition have the experience and specialist expertise needed to ensure your project goes as smoothly as possible. We’ll work our magic to have your skip bin in Melbourne delivered safely and efficiently while minimising disruptions to your day to day activities. We pride ourselves on providing exceptional customer service, so if you have any questions about our skip bins for hire in Melbourne, feel free to get in touch with the team. Why Choose Us for Skip Bin Hire? Customer satisfaction is at the core of everything we do. From your initial quote right through to skip bin collection, we’ll work with you every step of the way to ensure we fully understand your needs and implement a solution that works for you. Regardless of the scope and size of the project, we always go the extra mile to provide the highest standard of service possible. What are the Benefits of Hiring a Skip Bin? It goes without saying that investing in skip hire is an efficient way of removing unwanted waste from your property, but you might be surprised to learn that the benefits extend far beyond simple garbage disposal. Perhaps the biggest advantage of a hiring a skip bin is that it helps reduce the risk of injury on your worksite. A skip bin enables you to dispose of dangerous materials quickly and efficiently, thereby reducing the presence of potential hazards and creating a safer working environment for all. Hiring a skip bin is also incredibly convenient. Simply name the time and place, and we’ll ensure your skip bin is delivered to your worksite safely and efficiently, and take it away when you’re done with it. This allows you to focus your time and energy on what really matters: working on your project. If you’re in Melbourne or surrounding areas, we’d love to hear from you. With an extensive range of skip bins to choose from and an unparalleled commitment to customer service, Ultra Bin Hire & Demolition is your number one choice when it comes to Melbourne skip bin hire. To get your free quote, give us a call today on 03-90419559, or fill out our online enquiry form and a member of the team will be in touch with you shortly. Bin Hire Melbourne – We are a local business servicing Melbourne and surrounding suburbs. Excavation Services – Our professional team provide excavation services to prepare your site for construction. 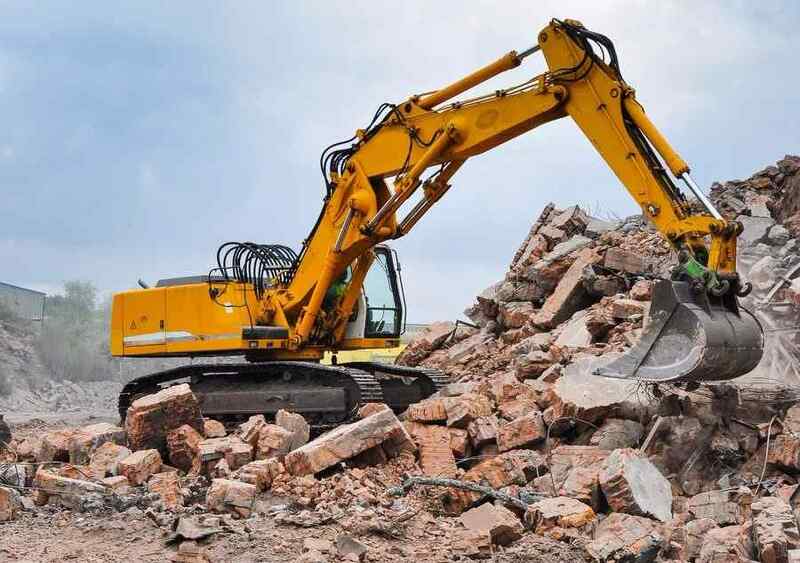 Demolition Contractors – With years of experience in demolition, our team are skilled, qualified and experienced demolition contractors that can take on any demolition project big or small. Asbestos Removal Services – This once popular building material is hazardous and can be found everywhere. We can help remove and dispose of the asbestos for you. Rubbish Removal Services – If you need more than just bin hire, we can help you to remove the rubbish from your property. Our experienced team can help you remove anything from hard rubbish to debris from renovations or construction. Site Clean Ups – We can help you clean up your site before, during or after construction. Having worked on numerous projects over the years, we can proudly say that we have become pioneers of our industry. Our team consists of responsible professionals who understand the importance of safety for our clients. We also never overlook the quality requirements expected by them. To get a free quote for our services, including bin hire in Melbourne, please click on the Request Quote button at the bottom of this page.